Louise Fletcher had her acting debut in the television series Yancy Derringer in 1958. She guest starred in the television series Wagon Train in 1959 before making her film debut in A Gathering of Eagles in 1963. In 1974, after a decade-long hiatus from acting in which she raised a family, Fletcher appeared in Robert Altman’s Thieves Like Us. The following year, Fletcher gained international recognition for her performance as Nurse Ratched in the drama film One Flew Over the Cuckoo’s Nest (1975), for which she won the Academy Award for Best Actress, BAFTA Award for Best Actress in a Leading Role and Golden Globe for Best Actress. 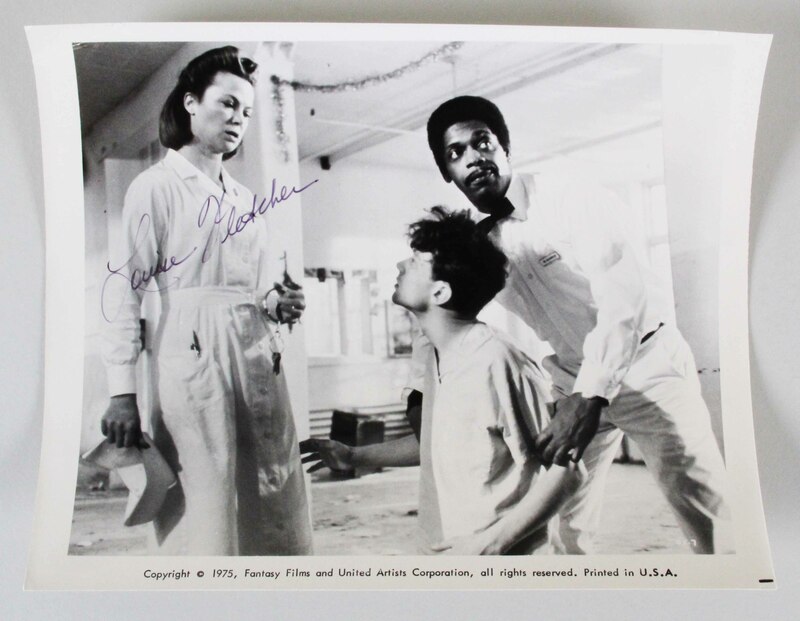 Presented is an 8×10 promotional black and white photo of Louise Fletcher from 1975 in One Flew Over the Cuckoo’s Nest. It was autographed by Fletcher in black felt tip pen “8”. 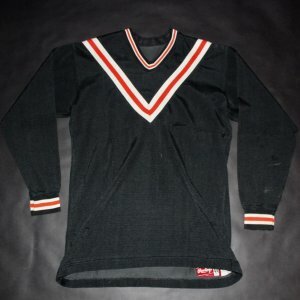 Princeton University Game-Used Soccer Shirt. Circa 1960’s.